I parked my motorcycle up a couple of weeks back due to the wet and slippery dark mornings and nights during my daily commute to the works QTH. 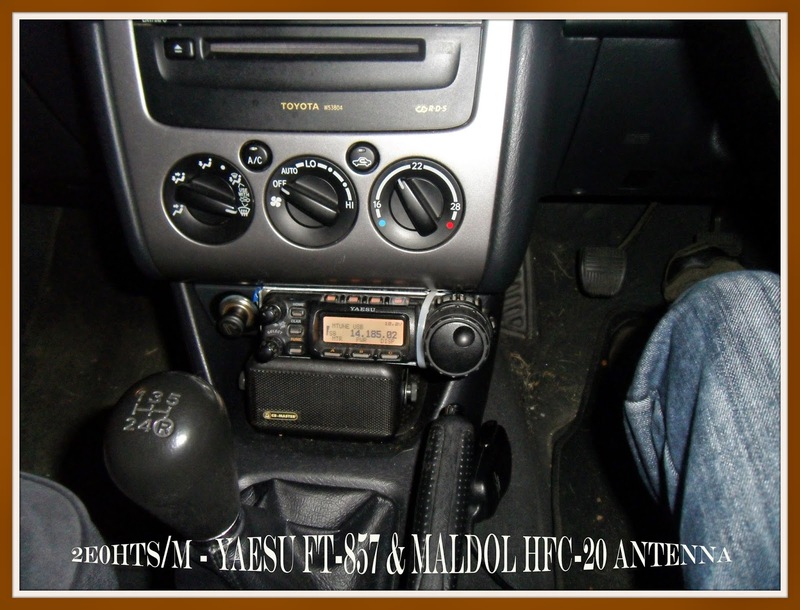 This is the time to enjoy the comforts of four wheels and the added bonus of my mobile HF station the Yaesu FT-857 mobile transceiver, Maldol and Hustler mono band antenna's. Over the past few weeks I have made lots of great QSOs /M and heard plenty of VKs, ZLs as well as many other DX stations on the morning run in to work with signals often over the 5/9 mark. The return evening journey has not been quite as good but I still hear activity and have made a few nice contacts usually in and around Europe. For the best results I have been operating mobile mainly on two of the HF bands - 15m and 20m. Its been great fun as usual playing radio /mobile with my little FT-857 and with a quick change over I can experiment with my various mobile HF mono band antenna's. 40m is also very good for mobile operation and I have worked some fantastic DX from my earlier HF mobile stations. I still get the same buzz if not a bigger one hearing the signals flood in to my latest mobile set up. It sure is surprising how well you can get out from a simple mobile setup with a good instal and 50 watts, if you are thinking about it you should do it. Its the best way to travel and hear the rare DX. 73 have a good weekend.